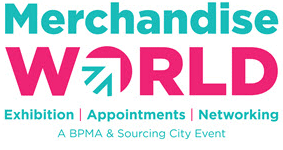 Merchandise World is a by invitation event for professional distributor companies. Professional Distributors: To receive an invitation distributors must have a website featuring promotional merchandise, be able to provide 3 trade references and have a promotional merchandise turnover in excess of £100k. Non-Exhibiting Suppliers: To be fair to paying exhibitors, non-exhibiting suppliers are not permitted entry. Please click here to see full visitor policy. Should you feel that we have omitted to invite you in error, please complete the form below and we will contact you if there are spaces available.